Lead Based Paint Testing, Inspection & Consulting San Antonio | Argus Environmental Consultants, Inc. 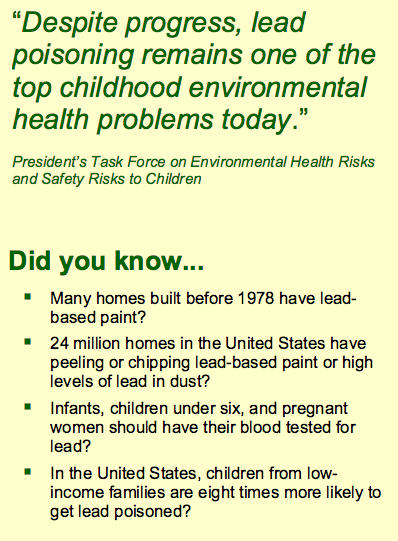 If you’re the owner of a residential property or commercial property with child occupants aged 6 and younger that was constructed in 1978 or earlier, you may be required to follow certain lead based paint regulations. Multiple regulatory agencies address the structure’s exterior and interior painted surfaces. Argus can guide you through the requirements of the US Environmental Protection Agency (EPA), Housing and Urban Development (HUD), Occupational Safety and Health Administration (OSHA), and the Texas Department of State Health Services.